Early last week the Played for Both Clubs feature was updated on Up the Clarets when seven former Burnley players made debuts for Football League clubs as well as two current players, Chris Long and Aiden O’Neill, who made debuts for new clubs on loan. This week’s update has seen four players added to new clubs. Andre Gray, who came on as a substitute in their draw against Liverpool, became the 19th post-war player to play for both Burnley and Watford, a list that includes current player Jack Cork. Michael Keane, meanwhile, was in the Everton side who beat Stoke on the opening day. He’s number 21 which also includes a current Burnley player in Chris Long who we signed from them two summers ago. And Jay Rodriguez made his debut for West Brom, the 19th to feature on that club’s list. 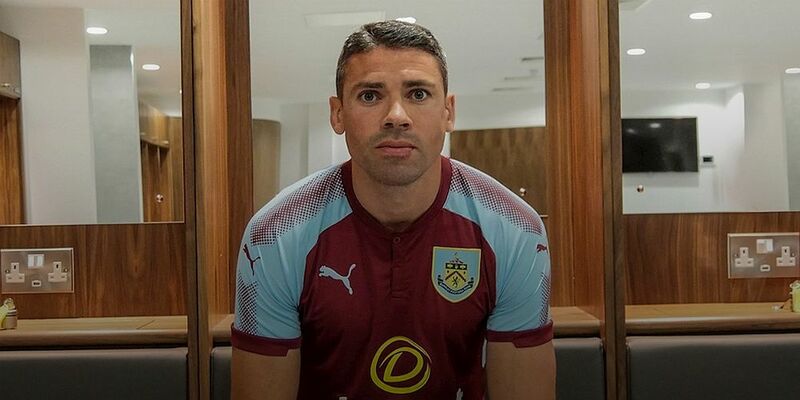 The fourth addition is Jonathan Walters who was added after he made his Burnley debut as a substitute, coming on for Steven Defour a quarter of an hour from the end of our win at Chelsea. Walters, pictured, has been added to the lists for Bolton, Hull, Barnsley, Scunthorpe, Wrexham, Chester, Ipswich and Stoke. The Played for both Clubs feature can be found within Players on the top menu.